Painted by Nicaise De Keyser (1813 – 1887) Belgian School. Signed and dated : N. De Keyser 1853. Dimensions: 156 cm / 106 cm period and original frame. 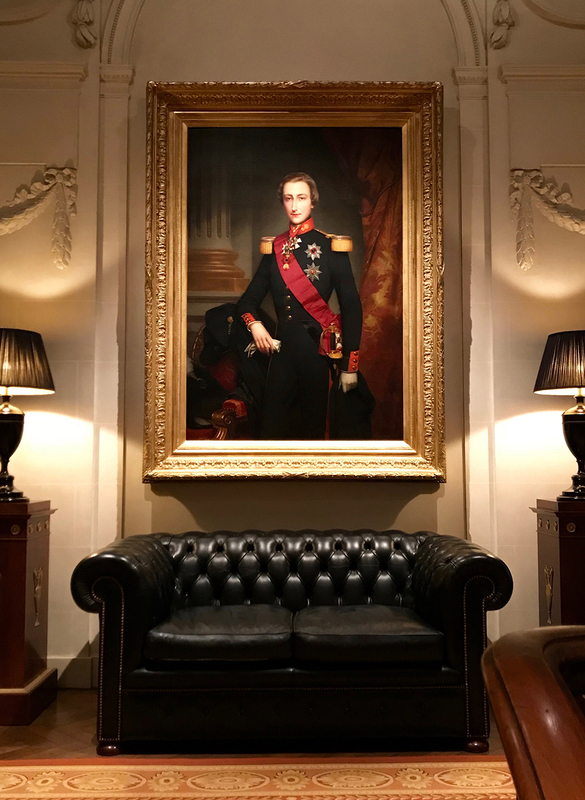 Two identical full-length portraits can be found at the King’s Palace in Brussels and in the Bow Room at Buckingham Palace in London. 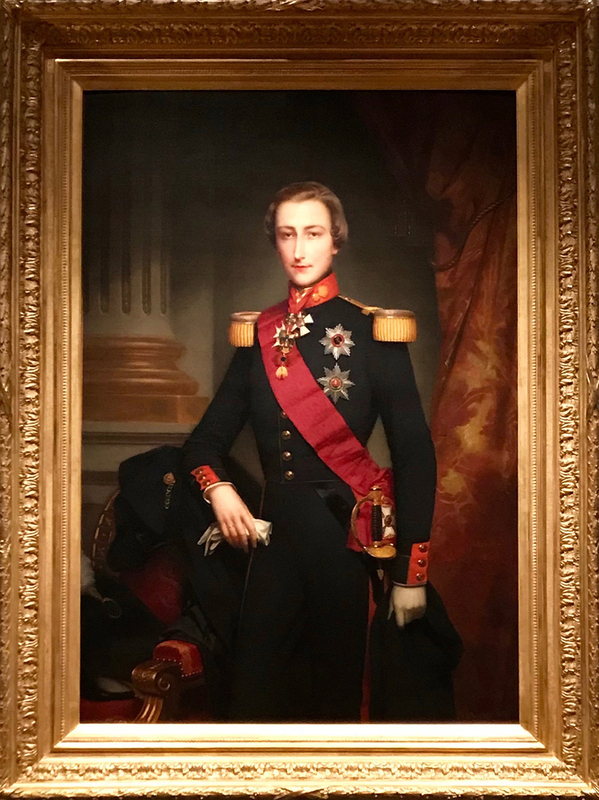 Portrait of His Royal Highness Leopold, Duke of Brabant, Prince of Belgium, Duke of Saxony, Prince of Saxe-Coburg-Gotha. (1835 – 1909). Painted in 1853 on the occasion of his marriage to Her Royal and Imperial Highness Marie-Henriette of Habsburg-Lorraine, Archduchess of Austria and Princess Palatine of Hungary. (1836 – 1902).